RB Limousine, LLC is a luxury limousine service based in Orange, Texas. Currently, providing premier limo services for the Golden Triangle and surrounding areas within a 100 mile radius. 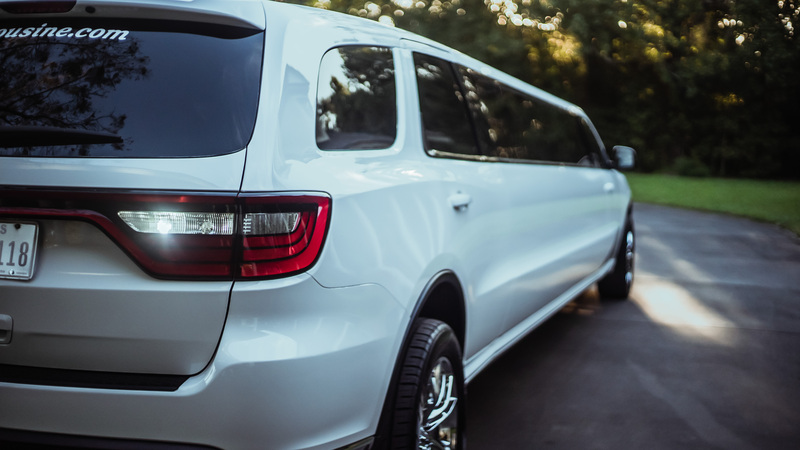 Our fleet features the Dodge Citadel stretch limo with diamond stitched leather interior that seats up to 14 passengers and enhanced with 12-inch subwoofers for great surround sound. The limo also illuminates indirect LED lighting with an in-car laser light show. RB Limousine is a veteran-owned business dedicated to style and safety. Owner Ricky Childress is passionate about customer service, and we strive to deliver the best service possible. We're committed to world-class service. Each driver is experienced with more than 200 years of combined driving experience, as well as all necessary licenses and insurance. Additionally, complimentary bottled water and ice are available, and we encourage you to bring your own favorite beverages. The goal of each driver at RB Limousine is to make each customer feel like royalty. We are a professional limousine service specializing in corporate rentals, Bar and Bat Mitzvah, weddings, quinceaneras, proms, sweet sixteen parties, anniversaries, or any other event transportation needs.